Adoption of a new Constitution acceptable to all communities which will also resolve the northern issue, one of the main electoral promises of the Yahapalana government has now come across a new stumbling block. The chief monks of the three Nikayas have unanimously decided that there is no need for a new Constitution. The need for a new Constitution arose primarily because there is general consensus among the political parties that the current executive presidential system has failed to resolve major issues in the country. The need for furtherance of democracy became obvious after changing a much entrenched and almost authoritarian regime in 2015 while justice to the minority communities and resolution of the ethnic conflict are also expected through a new Constitution. 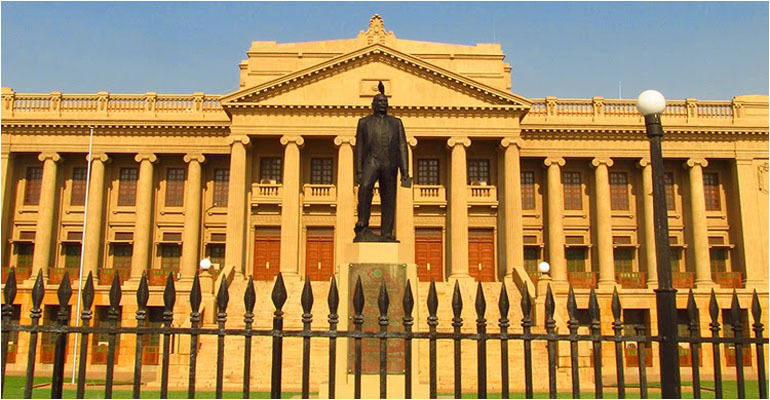 Anti-democratic and authoritarian trends that were visible during J R Jayewardene and R Premadasa regimes created much dislike for the system among the people preparing the ground for Chandrika Kumaratunga to make an electoral promise in 1994 to abolish the executive presidency. However, the promise was never kept during her presidency due to various reasons. Thereafter, Mahinda Rajapaksa too made a similar electoral promise in 2005, but instead of abolishing the executive presidency he replaced the 17th amendment with the 18th amendment which gave him almost authoritarian powers. These developments led to a stronger call for abolition of the executive presidency and it became one of the main electoral promises of the United National Front (UNF) in 2015. Soon after the new government came into power the nineteenth amendment was prepared and passed in a hurry mainly with the idea of facilitating the functioning of the unity government consisting of the two main political parties. Drafting of an entirely a new Constitution resolving the ethnic issue and changing the electoral system was postponed with the idea of coming up with a proper document after necessary consultations with political parties, professionals, intellectuals and a broader section of the population. Meantime, developing a new Constitution was expected to happen along with the national reconciliation programme launched by the new government as the Constitution also has a major role in bringing about reconciliation among communities. The process to make a new Constitution was launched in this background and six reports were compiled covering different aspects of the Constitution at the end of public consultations which took several months. Those proposals are now before the Steering Committee of the parliament responsible for drafting a new Constitution. Based on these documents a final draft has to be prepared for parliament to debate and discuss. Even such a document will be only a base document for making of a new Constitution and thus there is a long way for the process to go. During this process various ideas have come up for discussion and the proposal for having a secular Constitution like in India is one of them. Some may hate the idea, but in a liberal discussion there cannot be taboo topics. These are ideas which have to be tolerated in a democratic society and there is a vast difference between discussing something and implementing it. It’s only a proposal and both President Maithripala Sirisena and Prime Minister Ranil Wickremesinghe have made it clear that the foremost place given to Buddhism under the present constitution would not be changed and therefore there is no reason to panic over it. Similarly, it has been made abundantly clear that the unitary nature of the Constitution would not be changed despite substantial devolution of power to the provinces. Thus, it is both premature and irrelevant for anyone to oppose the idea of a new Constitution because it will affect the status of Buddhism or the unitary nature of the state. Thus, the position taken by the prelates of the three Nikayas, it appears, is based on inadequate information and it is not correct to pass a final judgment on a future Constitution without knowing what it is going to be. Whenever the subject of devolution was taken up for discussion it has been natural for some sections of the society to oppose it. However, the electoral promises given by the current unity government should be viewed differently as they were supported by all the political parties including the JVP and the civil society groups that came together to defeat the Mahinda Rajapaksa government. While the political spectrum is full of disagreements over the provisions and the nature of a future Constitution, now the very idea of drafting a new Constitution itself has been opposed by the Buddhist monks of the three nikayas making it even more difficult for the constitutional process to go forward. The best solution to this problem would be to get the approval of the people at a referendum before promulgating a new Constitution. The idea of having a referendum on a new Constitution has been much favoured by almost all the stakeholders. At the initial stages some argued that a mere two thirds majority in the parliament was sufficient for the promulgation of a new Constitution while others insisted that a referendum was a must. However, some sections of the SLFP who are part of the government have opposed the idea on the ground it is risky to go for a referendum at this stage and it is sensible to think of only the amendments that would not require the approval of people at a referendum. Some have expressed doubts as to whether it is a genuine position or a lame excuse to continue with the current form of executive presidency. The provision for referenda which was introduced for the first time in our country by the 1978 Constitution is believed to be an enhancement on the degree of democracy that existed up to that time. In a representative democracy elected members legislate on behalf of the people. However when it comes to a matter of utmost national importance a referendum enables the people to get involved directly and approve or disapprove it. Following the statement made by the prelates of the three nikayas the Tamil National Alliance (TNA) has once again urged the Government to go for a referendum and place the issue of the new Constitution before the people. TNA MP M. A. Sumanthiran, who came up with this suggestion in Parliament, said the Government should go for a referendum and place before the people, its proposals for the new Constitution so that they could voice their opinion. 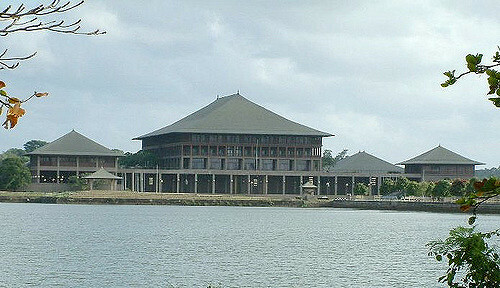 Both Sampanthan and Sumanthiran are right in favouring the idea of a referendum because even if everything is agreed upon in parliament some parties are likely to challenge the constitutional bill in the Supreme Court on the basis that it is not possible to amend or replace some of the sections of the current Constitution without a referendum. A court ruling in favour of such a petition would be a definite disadvantage for the proponents of such a Constitution. The country has already tested two homemade Constitutions, but none of them has succeeded in resolving the vexed national issue. Both these documents were drafted to suit the needs of the governments at the time, hurriedly passed in parliament and therefore lacked adequate public discussion or general approbation of the people. This is going to be independent Sri Lanka’s fourth Constitution and now it is time for the country to agree on a permanent document. Sufficient public discussion and extensive involvement of all political parties in Parliament are a sine qua non if we are to come up with the right document.